Beautiful birds in different colors invading the walls of this dining and breakfast nook. Dining together is one of the best things in life. 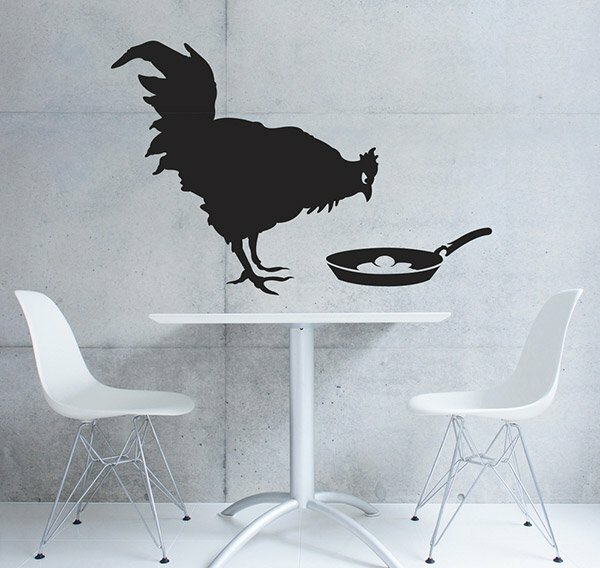 Having this wall decal could encourage the family to eat together and develop the family bonding. 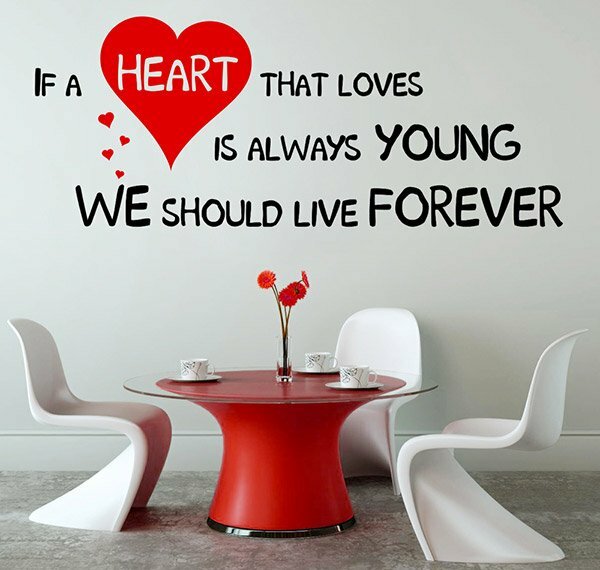 A beautiful wall decal with equally lovely words in it would certainly enhance the look of this dining area. Well, you really don’t have to stop, look and listen while eating but you do need to stop for a while and do a bit of chitchat with the person you are eating with. The red table’s color was repeated with the hearts on the walls creating coherence in its appearance. 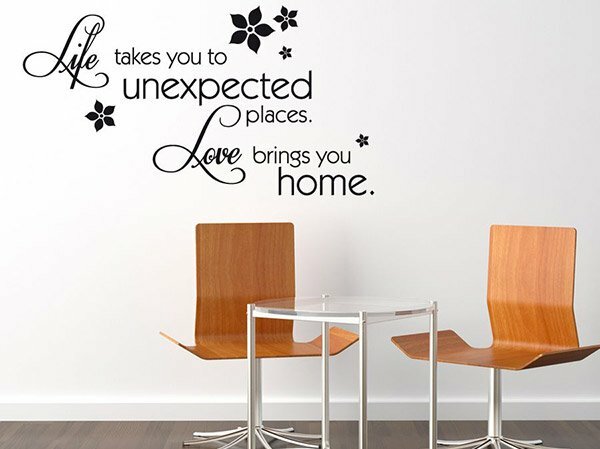 A contemporary dining area was made even more beautiful with this decal that talk about life and love. 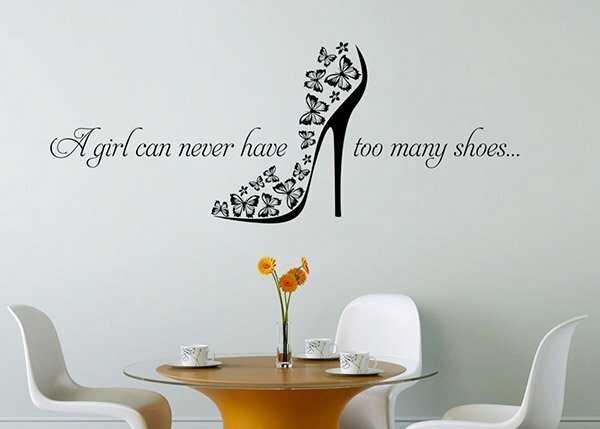 This one indeed adds a personal statement to a dining room since we are talking about shoes! 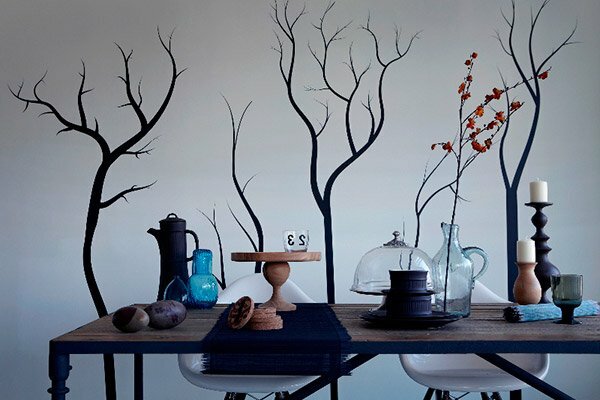 We love this wall decal mimicking the look of tree branches. It is like adding nature’s touch to the dining room. A family deserves a blessing but it has to be prayed and asked for. 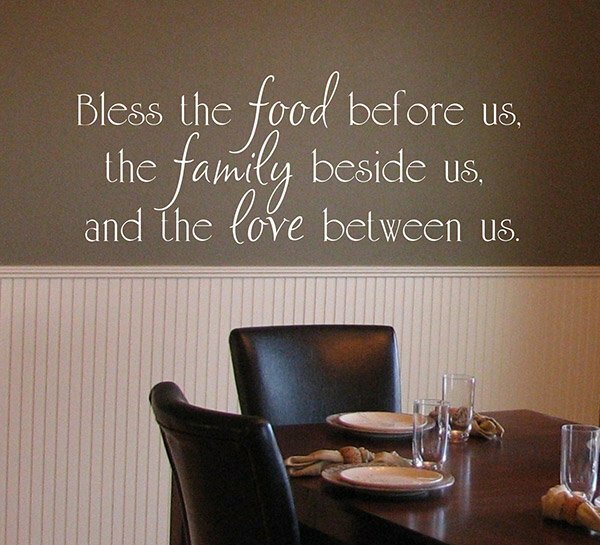 A wall decal that reminds the homeowners of how blessed they all area. Banksy Chicken or the Egg Decal? Who came first? The egg or the hen? Conversations like this will surely send you to unending talks! 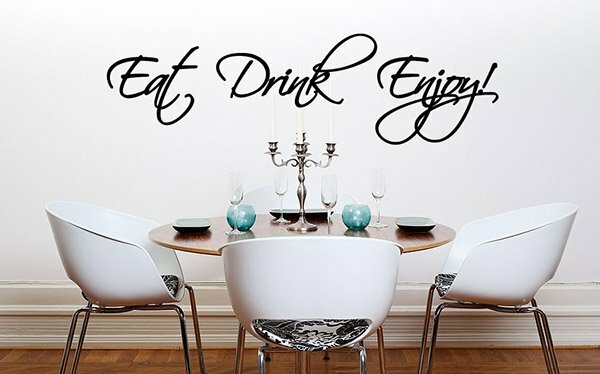 A wall decal that is indeed perfect for the dining area! Ahuh. 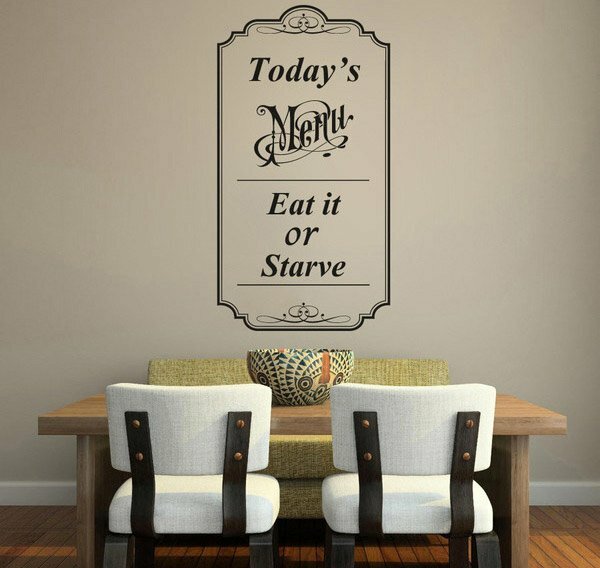 If you are looking for a wall decal that screams “eat”, then this is the best choice! 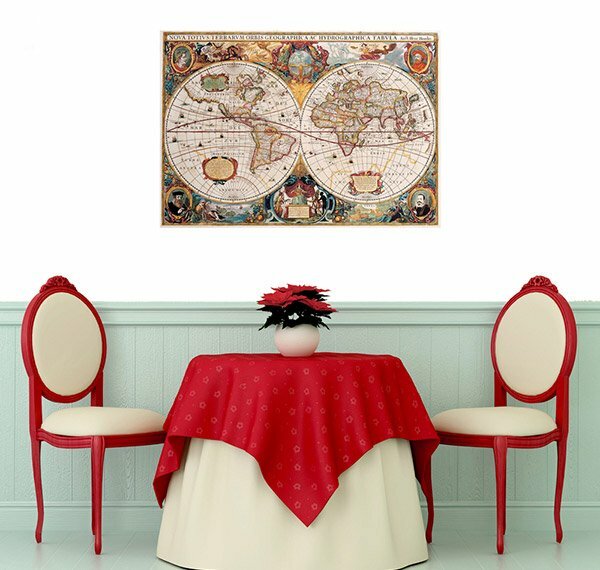 Discover the world’s beauty with a vintage map on your dining room’s wall. 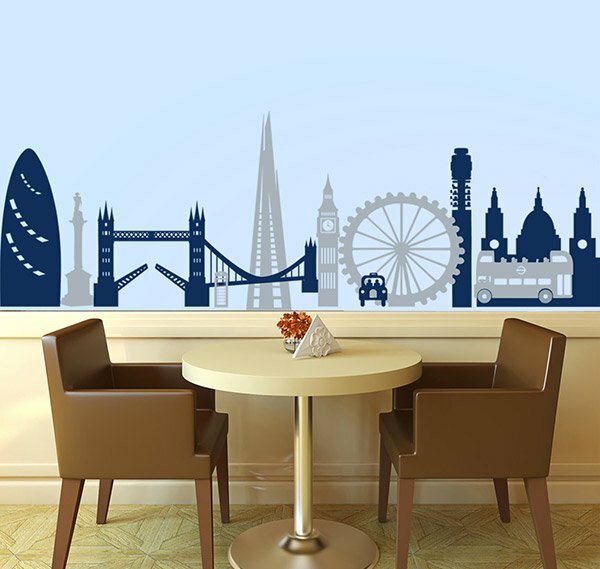 What could be lovelier than this London Montage wall decal? This come in different colors too. 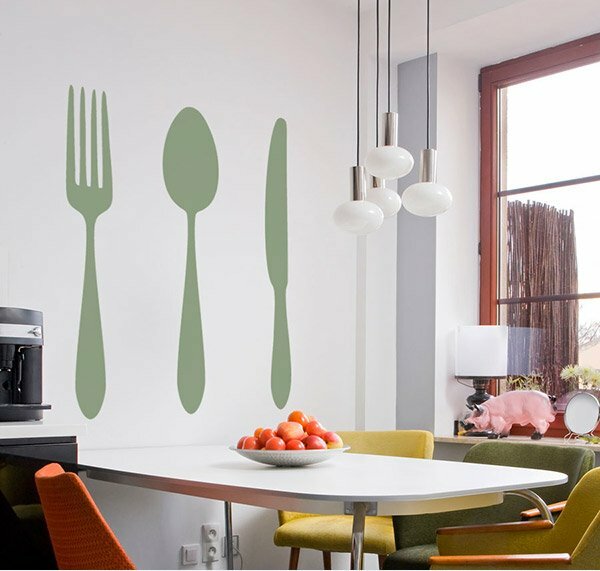 What can you say about these wall decals for the dining room? They sure are lovely and creative! 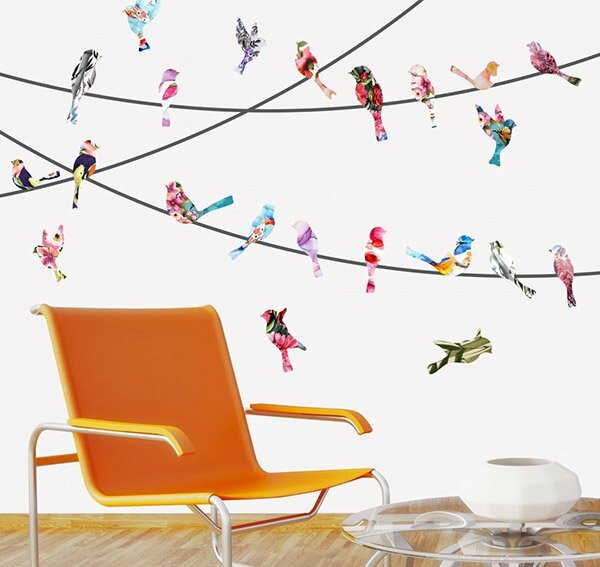 You can also request for a customized wall sticker if you want to. Adding these stickers will not just revamp the look of your dining area but it can also save you a lot of money as these are not as expensive as adding a brick wall accent and other designs that you can think of. But yes, you can just leave it plain with paint. Very interesting,I want to upgrade the ambiance of my DR.
Can you recommend me a trusted company who can help me designing my wall? The quotes can really gets our attention while eating and can also be a source for your conversation. 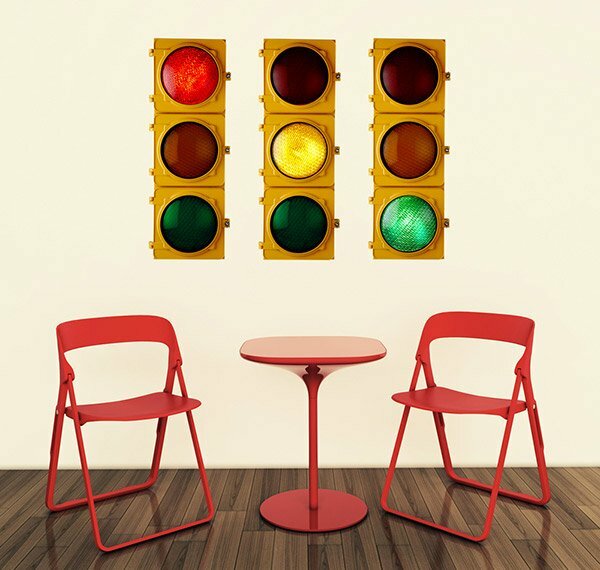 not all the samples are convincing..the traffic lights for me is not applicable for dining room. 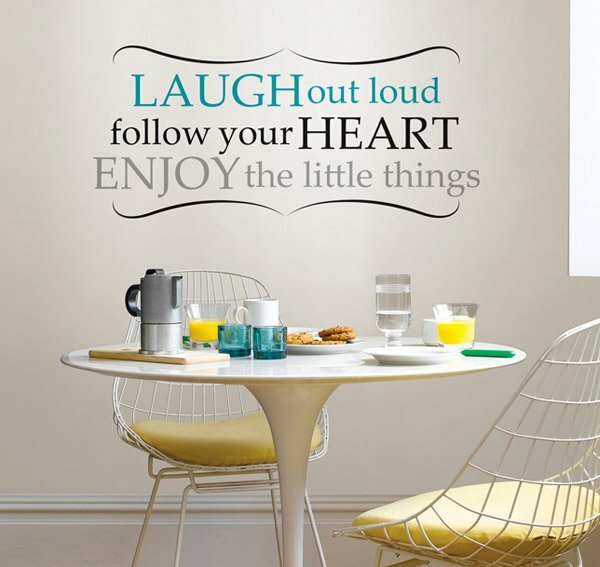 wall decals can be a good appetizer for our eyes.. Entertaining especially the different quotes. Great! 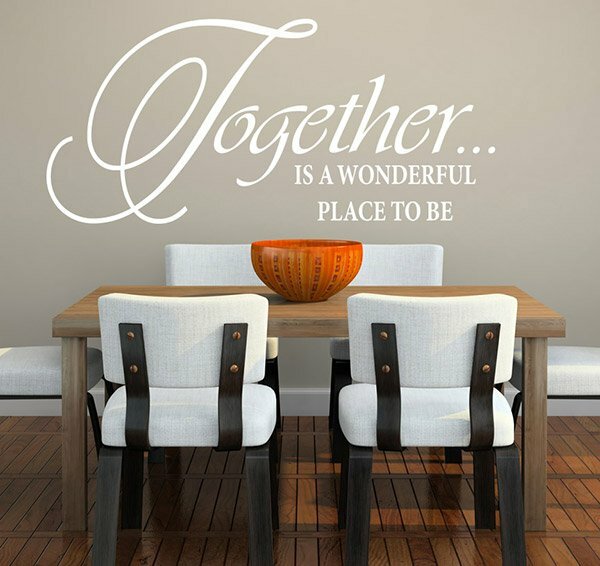 but I also want to see this wall decals on a wide area of a dining table were the table set is not near/attached on the wall. Yahhh your right it can add beauty or it is more enjoyable eating while looking on the decals on the wall of our Dining area.